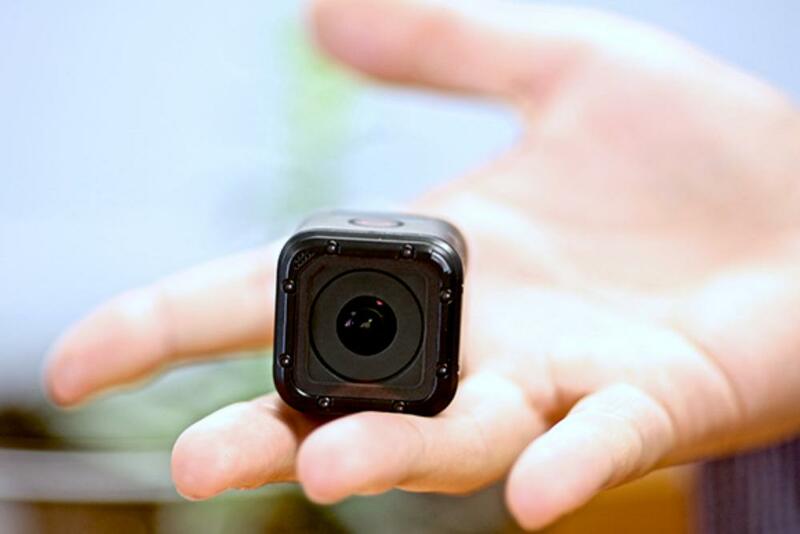 The GoPro HERO4 Session is 50% smaller and 40% lighter than the GoPro HERO4. 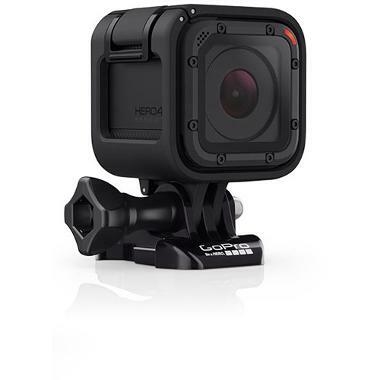 It sports a cube-like shape with integrated housing that makes the camera immediately water safe up to 33' deep. It has a streamlined design with just 1 button to do it all. To customize the settings, you'll need to connect the camera with a WiFi or Bluetooth device and use the GoPro App. From there you can put the camera into SuperView Mode, which records a 4:3 image stretched to fill a 16:9 frame. You can also shoot single stills, a time-lapse sequence, looping video, or burst photos (10 photos in 1 second). Shoot in super slow motion up to 100 FPS in 720p, HiLight Tag key moments while recording, or put the entire camera in Auto Low Light mode for dark environments. This camera also features automatic image rotation so that you can easily mount the camera upside down without having to flip the image in post production. This camera is ideal for all kinds of sports and point-of-view action shooting. It is also perfect for adventure traveling. • This camera uses Micro SD cards and certain cards are recommended over others. Please see this guide for more details. • This camera has a battery built-in and offers up to 2 hours of recording time on a full charge (depending on settings and usage). The included USB cable allows for charging the camera with your computer or the optional GoPro USB Wall Charger.